Great drawings over the centuries have often been overlooked as the art masters were recognized for their oil paintings. Their other drawings were considered to be drafts of their final work. Drawing is a quiet and thoughtful contemplation of the world and is an exquisitely expressive way to show your inner visions to the world. A well done drawing tells your story and states your truth without saying a word. No other arts are comparable to the beauty of effortlessly but masterfully executed by graphite pencil or charcoal. Using this medium is a great way to draw portraits but you probably don’t know where begin? How will the subject pose for the picture? Will they be sitting, standing, or playing a game? Who will you include in your portrait? All it takes is some simple planning before you begin drawing and you will begin to feel the joy of using charcoal and graphite as a drawing medium. You will also notice its spontaneity and sensitivity. One can make marks with it which are very painterly, as if with a brush, or one can make fairly technical drawings. … so that with these simple step by step drawing lessons you’ll be able to draw portraits using charcoal & graphite in record time – and this goes regardless of your previous experience. This course centres on 3 different portraits…. It contains techniques to create realistic looking artwork to provide you with valuable insight into the methods used by a real artist. Once you know how to create realistic looking textures, you’re on your way to creating much more realistic looking artwork. We created this course to share the passion and dedication to providing information regarding the art of realistic charcoal and pencil drawing. No more smudgy mess with black and white that looks like a first grader whipped up in art class. You will see firsthand from a real artist just how you can draw portraits that might even become a family heirloom. “Portrait Mastery” is generously illustrated showing you step-by-step just how to create a real life portrait. We have left nothing out and you will receive step by step instructions with comprehensive videos so you can see firsthand how to create portrait drawings. Now, you have the key to become a talented professional artist yourself and also be able to teach others. 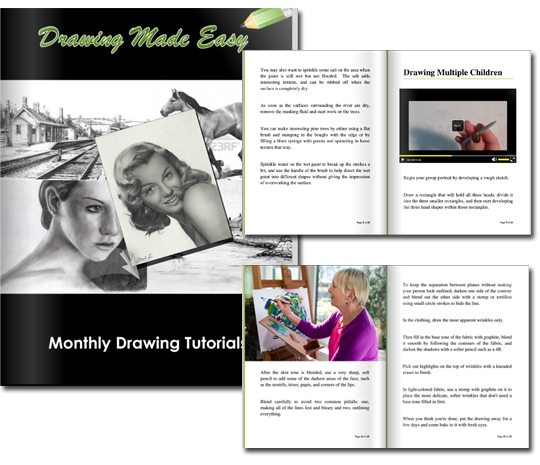 The e-book offers a step by step guide to learn pencil drawing. It also tells you about the qualities required in a professional drawing artist. In short, the e-book offers you extensive training directly from the guru of pencil drawing. So, its now or never! If you have always dreamt of making pencil sketches like that of Bert Leger and Dennis Edward Simon …then here’s your chance to realize your dream. Only a real master can teach you the real tricks and skills of an art. I have created this e-book especially for budding artists like you who need guidance from a master to flare up their passion of becoming a professional pencil drawing artist. 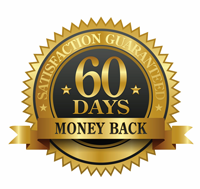 So if you aren’t happy with anything at all within 60 days … just contact me at info@drawing-made-easy.com and you’ll receive a full refund on course promptly! Very glad I decided to give this course a try. I felt as though I learn’t more with this course than the $500 workshop I attended in the past. Absolutely brilliant teacher and artist. Well worth every penny! If you have always wanted to draw portraits then we are going to allow you to grow as an artist and have a constant reminder of just how amazing your drawing is. Learning to draw people is a very honest form of art and no other arts are comparable to the beauty of effortlessly executed works. The gray scale of a graphite & charcoal drawing is very soothing to look at. It seems cool and unhurried and with Portrait Mastery your drawings will come to life with realistic qualities. The product is an online video tutorial on how to draw portraits. It consists of written instructions, step by step video clips and reference images taught by our professional artist.